As a Layout Artist, LINDSEY ST. PIERRE is responsible for making cinematic decisions about blocking, staging, timing, and cameras to help tell stories with clarity and artistic appeal. 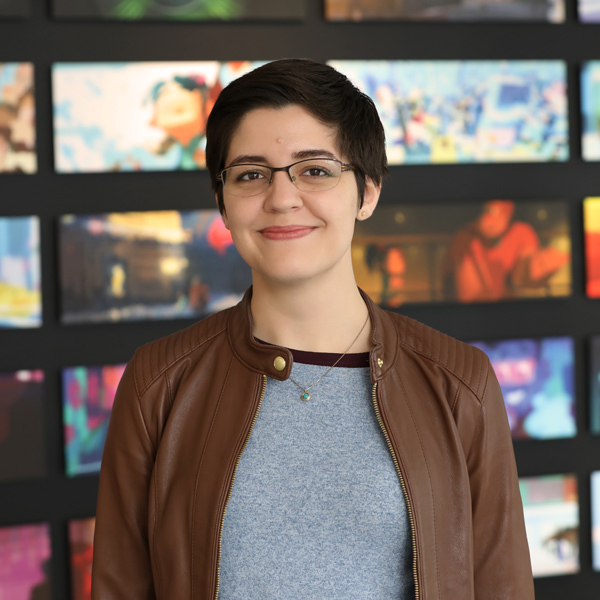 St. Pierre joined Disney as a layout trainee in 2013, shortly after graduating college. Her first project was “Feast,” followed by 2015 Oscar® Winner “Big Hero 6.” Since then, St. Pierre has done layout for “Frozen Fever” (2015), Oscar® winning “Zootopia” and “Moana” in 2016, and most recently “Ralph Breaks the Internet” (2018). St. Pierre studied Computer Animation at Ringling College of Art and Design in Florida. She was raised in Baton Rouge, Louisiana and currently resides in Burbank, California.